Formulated with organic baobab oil. Intensive regenerating elixir. No rinse. 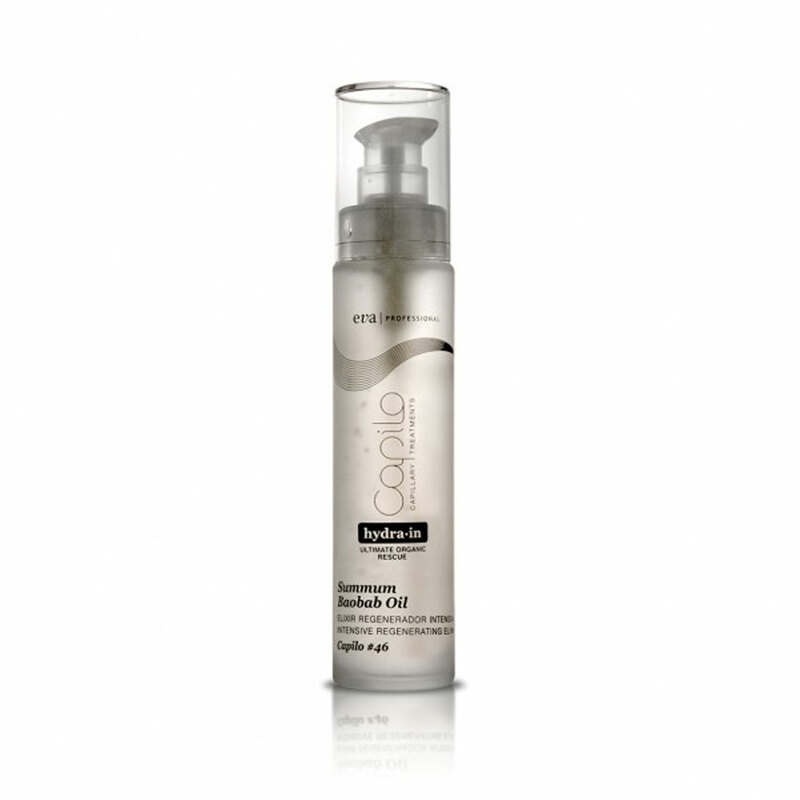 Instantly restructures and moisturizes the hair. Spray on the palm of your hand (1 spray). Rub the product between hands and apply it to damp hair concentrating on the mid-lengths and ends. Repeat process if you consider.